Japji of Guru Nanak Sahib, the Founder of Sikhi (Sikhism), is the essence of Sikh theology. It is the first Bani in the Sikh holy Scripture, Sri Guru Granth Sahib. 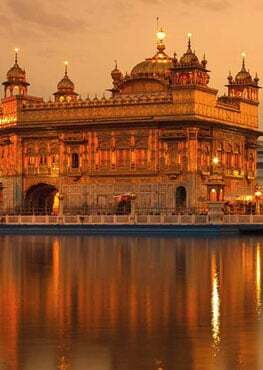 It provides the road-map and directions for travel for the Sikh who follows the Guru’s path to the main objective of human life which is union with the Creator Being by aspiring to Sach Khand, the realm of Truth, the Ultimate Reality. The book, Understanding Japji Sahib, is in two parts. The first part comprises short essays which expound the main themes of Japji. 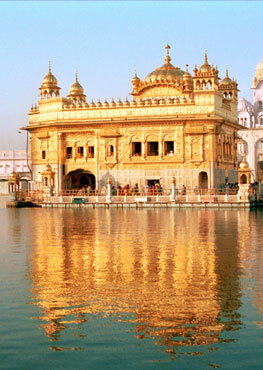 Sri Guru Granth Sahib is an exposition of Japji. It is not possible to interpret the Bani (the Shabad or Word-Guru) in Guru Granth Sahib without continually cross-referencing back to the Source Bani, Japji. Otherwise, inevitably, the interpretation would be misleading. It would lead to many diverse conclusions, thereby, giving rise to many sects, cults, gurudoms and derawadi traditions, all claiming Sikhi centre-ground! Therefore, exposition of the unique and sovereign theology of Guru Nanak depends on the correct understanding of the main themes of Japji. Also, in an environment of polemics i.e. religious controversy when the independent existence of one established religion is challenged by another, it becomes vital that the uniqueness of its ideology is explained with clarity. The extent to which the author has succeeded in establishing the sovereignty of Sikh theology and confirming Guru Nanak Sahib’s Japji as its root-source, has been used as the benchmark for this review of his book, Understanding Japji Sahib. There is no shortage of exegeses of Japji by erudite Sikh scholars. Yet, the author’s research and presentation offer much more than his modest claim, “It is one more English interpretation of Japji but with a different format giving meanings of most individual words in parentheses.” His introductory essays leading up to “Paurri-wise Interpretation of Japji” are of great value in clarifying Guru Nanak’s nirala Panth (unique path). The author has mostly relied on Japji itself for his interpretation. He writes, “A careful study of Japji shows that Guru Nanak first covers a topic in a Paurri and elaborates/verifies it in later Paurris. If this is followed in translation/interpretation, it helps in relying on the Guru’s guidance rather than on personal understanding.” This is an objective and fresh approach to the understanding of Japji. Starting with an overview, the Synopsis, Japji topics and themes are cross-referenced in the Japji Paurris under the headings of Naam, Cosmology, Karma, Re-incarnation and Liberation, Divine Grace and Avoiding Rituals and complying with Naam. The chapter on, Development of Thought in Japji, takes the reader on a guided tour of the Japji at the next level to the introductory Synopsis. The second part is a detailed “Paurri-wise Interpretation of Japji”. It takes the reader from the prologue, through the 38 Paurris to the epilogue. The Paurris are interpreted and explained sequentially like steps leading from the temporal to the highest spiritual levels. The road-map is now complete with clear directions for travel on the Guru’s road. Naam is the main theme of Japji and it is important to fully grasp what Naam means in Sikh thought. Is Naam japna just inactive parrot-fashion repetition of some holy Word or is it suggestive of a life of Sikhi activism. If so how? Do we climb the Paurris (steps) of Japji without effort or does that step-by-step climb require daily mental and physical effort? The author clarifies that living by Naam means emulating Divine virtues/attributes and living by divine commands. That requires daily/timely sustained effort. The reader is left in no doubt that Naam japna requires both, mental and physical activism/effort. That clarification sets this study, Understanding Japji Sahib, apart from other interpretations. Thus, the very opening expression of Japji, the Mool Mantar, the basis of Sikh theology, rejects the Hindu belief system. After the Mool Mantar, and the prologue, the journey continues with the question: How can the wall of falsehood be broken so that one is looked at as (sachiaara) truthful i.e. presenting the self as one really is? The Guru’s response is in Japji Paurris (steps), which the devotee climbs to reach the final destination where the Nirankar, the Formless Almighty resides. That is the realm of Truth. It is in minds of those who truthfully conform to Naam. With quotations from Japji, the essays clarify the Sikhi concepts relating to cosmology, karma, re-incarnation and liberation, Divine Grace and rituals. The author’s approach and schematic presentation of Japji Sahib themes is original and, without doubt, adds value to earlier exegeses. The themes are developed with references from Japji itself. That means that the interpretation and understanding are based on the Guru’s Own guidance and revelations in Japji. This methodology adds much authority and value to the Understanding of Japji Sahib. The book is an invaluable learning aid for serious students of Sikh thought. Today, the distinct Sikh ideology and identity faces similar threats. Due to external as well as internal ideological challenges, the global Sikh reaction is to re-discover the founding principles of Sikhi. Next generations in the diaspora are searching for the essence of true Sikhi. They need quality literature in English. For the mature student of Gurbani, Understanding Japji Sahib by Sardar Rawel Singh, falls into that category. Due to the central importance of Japji in Sikh theology, the importance of this book lies in establishing the sovereign status of Sikh theology.